Except, of course, the anniversary is really just beginning. 2017 marked 500 years since Luther’s 1517 posting of the 95 Theses. And while that event may have been the Reformation’s catalyst, there are many other landmarks whose 500th birthday is still ahead of us—including the most important ones for worship and music. Take, for example, Luther’s orders for worship, the Formulae Missae of 1523 and the Deutsche Messe of 1526. These two documents introduced many important reforms, one of which was the formalization of vernacular hymn singing within the liturgy. Those hymns were chorales, the first of which were written and published by Luther and his colleagues in 1523 and 1524. Over time, the chorales grew and evolved into one of the most robust genres in Western hymnody. Lutheran chorales inspired tens of thousands of choral arrangements, organ settings, and instrumental works, from the 1520s through the present day. Voicings include unison, two-part, three-part mixed (SAB), and SATB, so there are possibilities for choirs of all types and sizes. A variety of instrumentation choices make the Chorale Book even more diverse. Several settings may be performed unaccompanied (or with keyboard doubling), while others include carefully crafted organ accompaniments. Ten of the works in the collection include optional or obligato string, woodwind, or brass instruments. Each setting features performance notes that provide a brief biography of the composer, background information on the setting, and suggestions for use. That last category is important: Chorales were intended for communal singing, and the earliest choral arrangements were performed in alternation with the congregation. Many of the settings in the Chorale Book can be used similarly, and the performance notes suggest how to do so (in cases where it isn’t immediately obvious). So: Although 2017 is over, the 500th anniversary of the chorale and Lutheran contributions to congregational song are still (at least) five years away. The Augsburg Chorale Book and other Augsburg Fortress resources like the Chantry Choirbook and Bach for all Seasons, give us the opportunity to continue to sing our songs in these “in-between times.” Which, of course, is really what the chorales (and all hymns) are for: They are not supposed to be saved for festivals and commemorations, but are to be sung in the regular, weekly worship gatherings of the faithful in all times and places. That is how they form us in faith and shape us in song. Eight different chorale texts and four tunes were published in the first Lutheran hymnal, the Etlich Christliche Lieder, in 1524. They had previously been published as broadsheets in 1523 and 1524. For a brief history of the origin of the Lutheran chorale, see Highben, Zebulon M., “Reviving Sacred Song: 500 Years of the Lutheran Chorale in its Congregational and Choral Contexts,” Choral Journal 58, no. 1 (August 2017): 36-46. Zebulon M. Highben is a conductor-educator, composer, and church musician. Currently Director of Choral Activities at Muskingum University (New Concord, OH), he previously taught at Luther Seminary and the University of Wisconsin River Falls, and served Lutheran and Presbyterian parishes in Ohio, Michigan, and Minnesota. 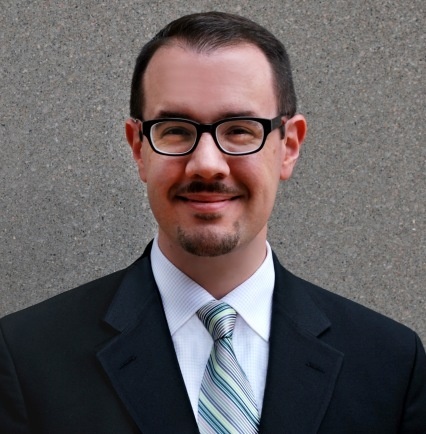 Since 2005 he has been the Paul Bouman Chapel Choir Director at the annual Lutheran Summer Music Academy & Festival. His compositions are frequently performed by church, school, and community ensembles, and are published by Augsburg Fortress, Boosey & Hawkes, GIA Publications, and MorningStar Music. Highben studied at Ohio State University (B.M.E. ), Luther Seminary and St. Olaf College (M.S.M. ), Michigan State University (D.M.A. ), and is a rostered Associate in Ministry in the ELCA.